Even as its largest cities, like Jersey City, see pricier new development, rents in New Jersey are generally below the national average. National rent prices climbed 3.2 percent in March, versus a year earlier, according to NJBIZ. That’s the lowest annual growth in more than six months. Average rent for the month rose $44 to $1,430. In New Jersey, the fastest rental growth was in Trenton, where prices rose 5.6 percent year over year. It remained the cheapest large city to rent in, at an average of $1,118. The biggest decrease was in Edison, where the average rent fell 1.1 percent. 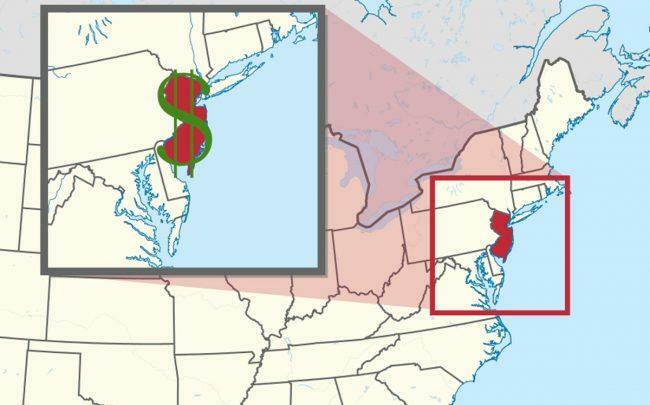 Hoboken and Jersey City are the most expensive area for renters among the Garden State’s largest cities. The priciest apartments are in nearby Hoboken, where units go for an average of $3,463 while Jersey City residents pay $2,909. That’s followed by Union with an average of $1,800.